John Carpenter is one of the top three people in horror who most influenced the genre for me. The other two would be Stephen King and Peter Straub. Other people out there rang the bell once or twice, but Carpenter just hammered it for a solid twenty years. What better way to cheapen the impact of his work on me than to rank his (horror) movies by how they affected me when I first saw them? All kinds of spoilers follow. 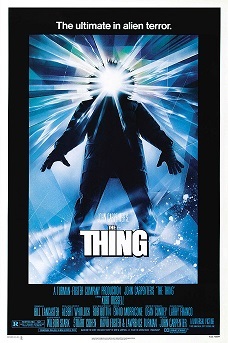 John Carpenter’s The Thing (1982) – Yes, Halloween is not first on this list. I don’t think any movie has ever blown my mind like The Thing. I remember watching this acid trip of a movie unfold without any clue what would be coming next. That’s very rare for a seasoned genrist, by the way. And the ending left me feeling haunted for days. 2. Halloween (1978) – It’s a story I’ve related on here before, but I hadn’t heard of this movie when it came out. I was in the next theater watching a dreadful Woody Allen film called Mopers and heard the screaming coming from next door. I asked the ushers on the way out what was causing all the ruckus and came back the next night alone. I also never again saw the girl who opted to stay with Mopers rather than bail for whatever they were howling at in the next theater over. 3. 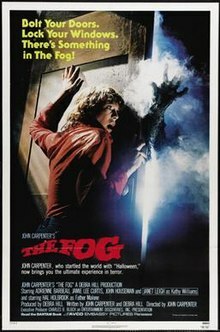 The Fog (1980) – A great movie with a pretty meh ending. Finding out that it was ghost pirates in the fog was kind of a letdown, but everything else in this movie is extremely suspenseful. Another problem for me with The Fog is that, unlike Carpenter’s better movies, order is restored in the end. Having said all that, the rest of the movie is just too enjoyable to move any further down the list. 4. 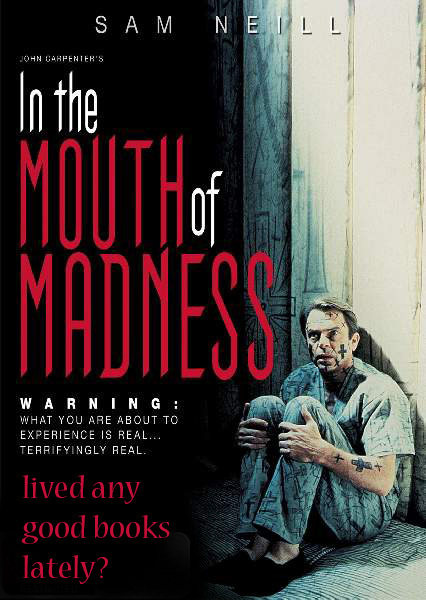 In The Mouth of Madness (1994) – Another acid trip of a film. You actually feel psychologically damaged when you come out of the theater. And, like all true horror films, order is not restored in the end of this one, either. Chaos simply subsides for a moment before the credits roll. Just looking at the poster makes me want to watch it again. Hold on, I’ll be right back. 5. 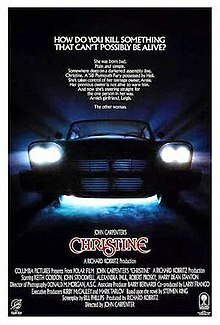 Christine (1983) – This one veers dangerously close to dark comedy. It’s not one of my favorite King books and it’s not one of my favorite Carpenter films, but it’s more watchable than some of the others down this list. The car was a too obvious metaphor for drug addiction and the story had all the right beats, but no heart. 6. 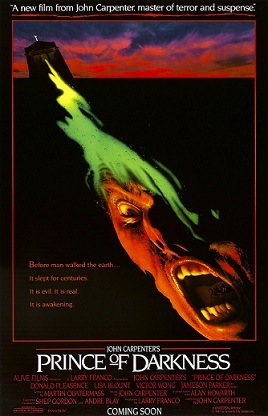 Prince of Darkness (1987) – A lot of people like this, but it feels rickety and low budget to me. Carpenter mostly worked with lesser budgets so he could maintain control, but none of his other movies show the cracks quite so much. A lot of one-take acting in this one, too. 7. 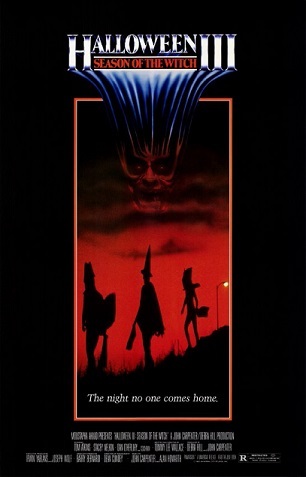 Halloween III Season of the Witch (1982) – According to Carpenter, he and Debra Hill made Halloween and went to Europe to work on the next thing. 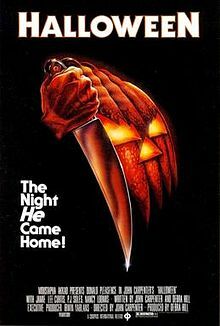 They didn’t originally imagine it would become a series, but when they heard about Friday the 13th going into franchise mode, they thought it would be better to make Halloween an anthology series with each entry being a different story centered around the holiday. I mean, why tell the same story over and over again? Because, apparently, a lot of people like that. Who knew? This movie didn’t do well because people came expecting Michael Myers and got something completely different. Also because this is not a good movie. Like Prince of Darkness, it’s so obviously low budget and there’s so much one-take acting going on, that it belongs with home-brew flicks like Last House on the Left not classy horror films like Halloween. I liked the idea and the scene where a river of bugs comes out of the kids from the test family is truly worth the price of admission, but everything else in this movie just screams student film. And, yes, Carpenter didn’t direct this but he and Hill produced it so it’s on this list. 8. 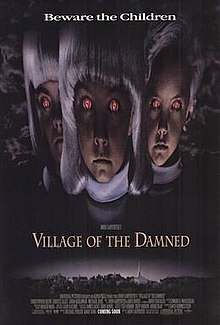 Village of the Damned (1995) – I think this might be Carpenter’s only true studio film and it’s just as lifeless as you would expect coming from an entertainment conglomerate instead of a filmmaker. Frankly, I didn’t care enough to even look it up. I do remember being bored out of my mind when I saw it in the theater, but I’ve since put the details out of my mind. 9. Ghosts of Mars (2001) – The gunshot that announced the end of the Carpenter era. Escape From New York – Not a horror film. Big Trouble In Little China – My desert island movie, but still not a horror film. They Live – Adventure movie, not a horror film. Vampires – One of the worst movies Carpenter made, but also it’s a western not a horror movie. Fight me. The Ward – I haven’t seen it. Or I don’t remember it, which seems more likely. Pro-Life & Cigarette Burns – Both very good, both are television episodes (Masters of Horror, highly recommended) not movies. Any other movie you’re thinking of – Not a Carpenter film or not a horror film.